Pentax/Ricoh have updated one of their lenses. The new lens is called HD PENTAX DA 35mm F2.8 Macro Limited and it replaces the smc DA 35mm F2.8 macro. The lens construction is still the same, but they have made some optimizations to the lens, so the output from the lens should be better. The HD PENTAX DA 35mm F2.8 Macro Limited lens has a new HD coating that should mean less flare and ghost images than the smc DA 35mm F2.8 macro lens. A lot of companies are adding different kind of coating to their premium lenses, which has shown that it makes a difference in the output of the images. I don't know any photographers that don't love a great bokeh effect on their pictures. So it is great to see that Pentax/Ricoh have work hard to improve this effect in this lens. This is really important in macro pictures as you would like your subject to be sharp and the rest have a nice creamy background. 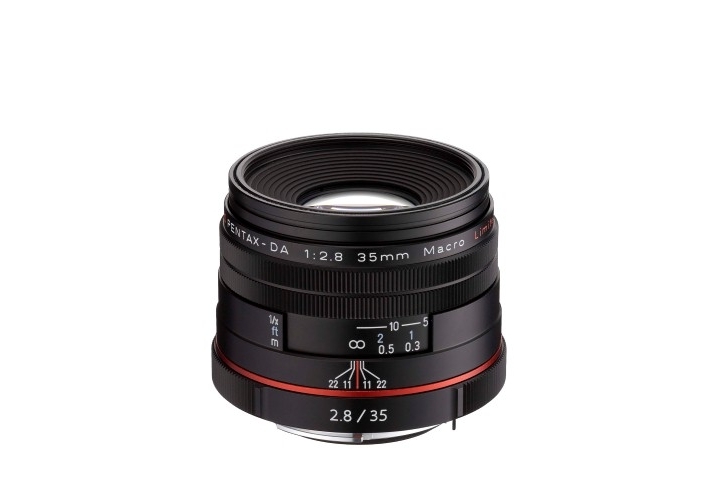 The existing smc DA 35mm F2.8 macro lens have an average rating of 80%, so this is already a great lens and I think that the HD PENTAX DA 35mm F2.8 Macro Limited will have the same or a better average rating at Pentax Index. The price difference between the 2 lenses is $50, and with that little difference I would go for the new lens. Follow the HD PENTAX DA 35mm F2.8 Macro Limited at Pentax Index.